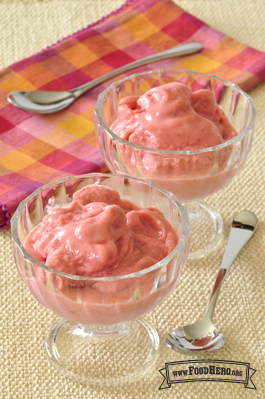 Combine frozen strawberries, yogurt and sugar in a blender or food processor. Blend until creamy, about 2 to 4 minutes. Serve immediately or freeze in an air-tight container or frozen treat molds for up to 1 month. Frozen leftovers will be very firm. Scrape into serving bowls with a spoon.